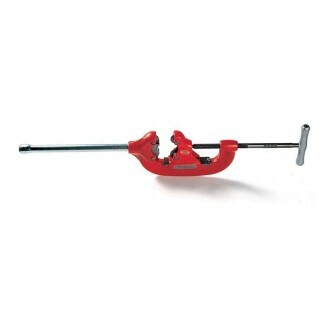 RIDGID Model 2-A 1/8 - 2 inch 3-Wheel Heavy-Duty Pipe Cutter.Fast, clean pipe cutting by hand or power. Extra-long shank protects adjustment threads, while an extra-large handle is provided for quick, easy adjustment. 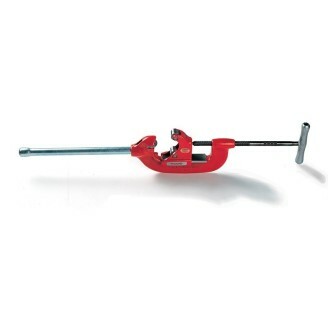 RIDGID Model 4-S 2 - 4 inch Heavy-Duty Pipe Cutter.Fast, clean pipe cutting by hand or power. Extra-long shank protects adjustment threads, while an extra-large handle is provided for quick, easy adjustment. 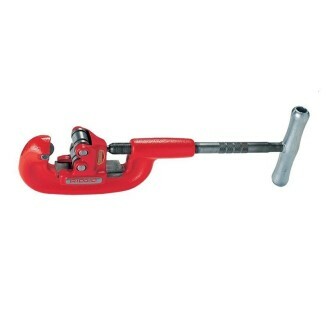 RIDGID Model 4-S 2 - 4 inch 3-Wheel Heavy-Duty Pipe Cutter.Fast, clean pipe cutting by hand or power. Extra-long shank protects adjustment threads, while an extra-large handle is provided for quick, easy adjustment. Second handle on 3-S, 4-S and 6-S models make two-man leverage possible on large pipe sizes. 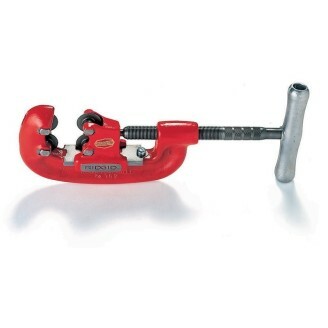 RIDGID Model 6-S 4 - 6 inch Heavy-Duty Pipe Cutter.Fast, clean pipe cutting by hand or power. Extra-long shank protects adjustment threads, while an extra-large handle is provided for quick, easy adjustment. Second handle on 3-S, 4-S and 6-S models make two-man leverage possible on large pipe sizes. RIDGID 42-A ¾ - 2 inch Heavy-Duty 4-Wheel Pipe CutterDesigned for work in areas where a complete turn is impossible. 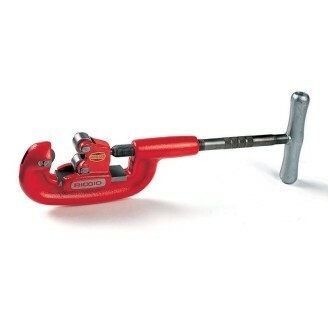 Model 42-A has a short handle for use in confined areas. Equipped with four heavy-duty wheels. 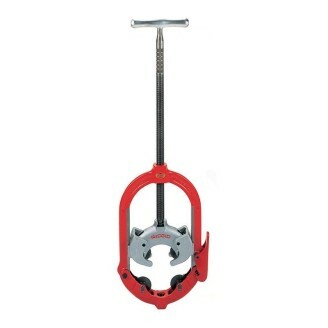 RIDGID 44-S 2½ - 4 inch Heavy-Duty 4 - Wheel Pipe CutterDesigned for work in areas where a complete turn is impossible. Second handle on Model 44-S makes two-man leverage possible for large pipe sizes. Equipped with four heavy-duty wheels. RIDGID 202 1/8 - 2 inch Heavy-Duty Wide Rolls Featuring extra-wide rolls, this cutter is especially designed for use with power drives. The wide rolls provide for true tracking and cleaner cuts. Designed for rapid cutting of 2" (50 mm) to 12" (300 mm) steel pipe, heavy-wall steel pipe and cast-iron pipe. The 11 models operate with minimal cutter rotation as necessary for tight quarters. Second handle included for 466, 472 and 468 makes two-man leverage possible for large pipe sizes. Furnished with X-tra sharp wheel for up to 40% faster cutting. Designed for rapid cutting of 2" (50 mm) to 12" (300 mm) steel pipe, heavy-wall steel pipe and cast-iron pipe. The 11 models operate with minimal cutter rotation as necessary for tight quarters. Second handle included for 466, 472 and 468 makes two-man leverage possible for large pipe sizes. 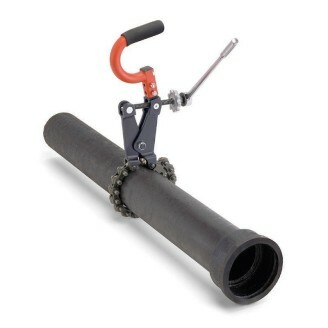 The RIDGID Model 226 In-Place Soil Pipe Cutter is a compact, lightweight tool designed to cut hub 1½" (40 mm) to 6" (150 mm) and No-Hub® soil pipe in tight quarters. 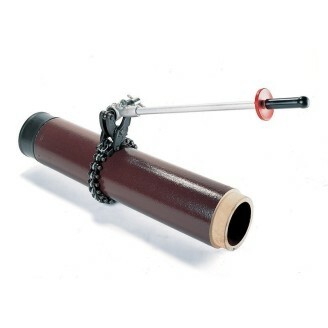 Handles all 1½" (40 mm) to 8" (200 mm) gasketed soil pipe without extra, loose attachments. Easy assembly of Y, tee and elbow fittings, as well as straight lengths from any angle. Slim, compact design lets one man assemble even large sizes quickly and easily. 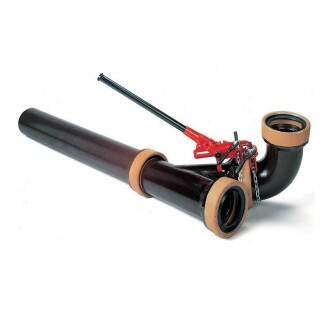 Removal of handle facilitates vertical and overhead pipe assembly.